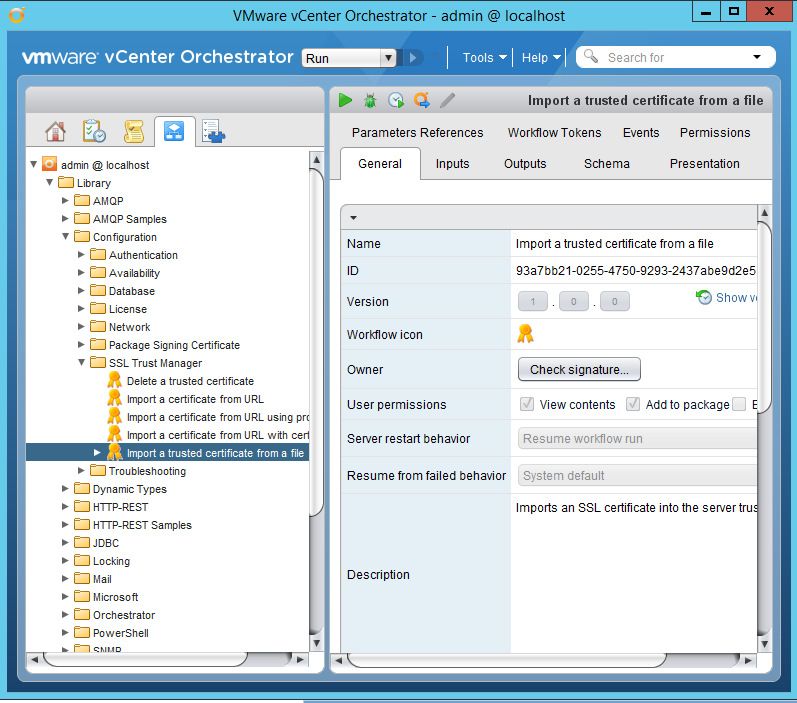 Import the new certificate into vCO SSL Trust Store. 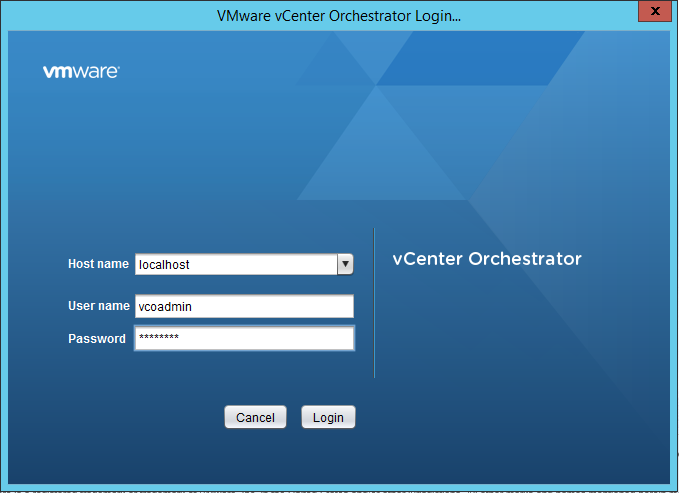 In this post we will take a look into the certificate replacement process for vCenter Orchestrator (vCO)/vRealize Orchestrator (vRO) appliance in order for the appliance to work over SSL.We will be using vCO version 5.5.2, but the process is the same for previous versions of vCO, with exception that paths to the keystores or the keytool might have changed. Generally there are two scenarios you might see related to the vCO/vRO SSL certificates. In the first scenario you use the existing private key of the existing vCO/vRO self-signed certificate (with alias dunes) and the existing keystore. With this private key you generate a certificate request which than is being used by a Certificate Authority (CA) to generate the certificate. You than import this certificate to the existing keystore together with the certificates of all Certificate Authorities up to the root of the certificate chain. So for example if you have the usual 3-tier Root CA , Intermediate CA and Issuing CA hierarchy, you will need to import the certificates of all 3 of them into the keystore. You can also create a new keystore and import all certificates there or if you have a certificate package (PKCS21, ect…) you can import only it. In the first scenario we will use the existing keystore to import all of the certificates. In the second scenario we will create new keystore and import the certificate package containing the private key and all certificates form the certificate chain. In the second scenario you have received a certificate package from your company’s CA or 3rd party public CA and you want to use this certificate to secure the communication to and from the vCO/vRO. A reason why you would want to have custom private key might be that you company has security policies which require higher bit encryption or particular cypher being used for all SSL communications. 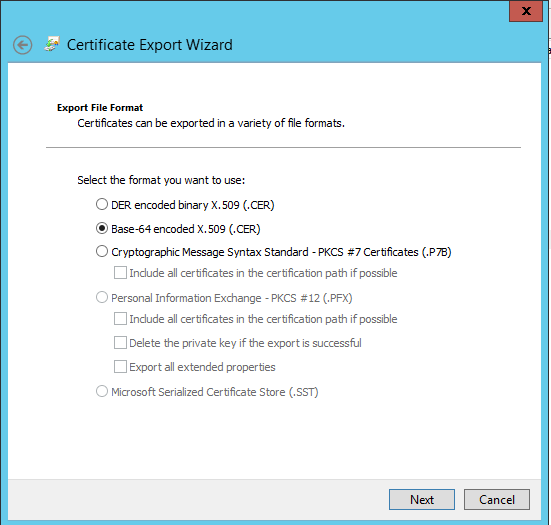 In this example we will be importing a PFX certificate package that contains the certificate private key and also all of the certificates for all CA’s from the certificate chain. We will be creating new keystore to use. 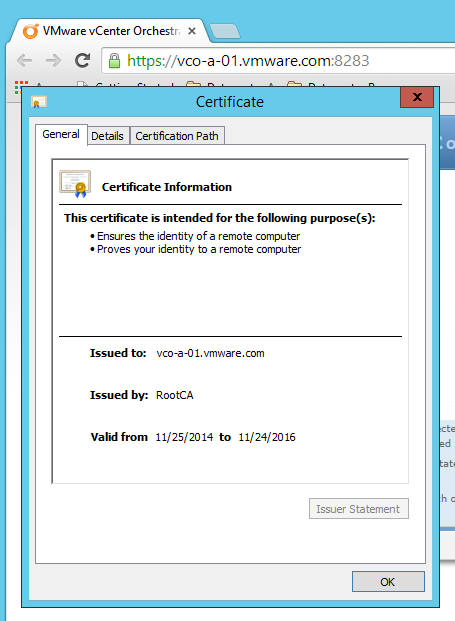 First we must import the certificates of all CA’s that make up our certificate chain into the vCO/vRO keystore. We can either use the existing vCO/vRO workflows to do so or we can use the keytool (shown later) to import them. I will be using the workflows for this example. Navigate to Library > Configuration > SSL Trust Manager. Start the Import a trusted certificate from a file workflow. Select the certificate of your Root Certificate authority. Make sure the certificate you are selecting has been exported as Base-64 encoded X.509 (.cer) file. Click Submit and make sure the workflow finishes successfully. Repeat the Steps to include all Intermediate Certificate Authorities certificates from the certificate chain. Instead of the vco workflow you can use the keytool –importcert command. In order for the certificate to be trusted by windows, the CA certificates must also be installed into the Windows certificate store and tursted. 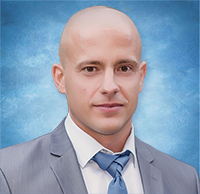 IN our example I have 1-tier certificate authority (RootCA) and I have imported the CA certificate into the Local Computer’s Trusted Root Certificate Store. If you have or have received certificate form multi-tier CA than import the CA certificate accordingly to the Local Computer Intermediate Certification Authorities Certificate Store. Now we must generate a certificate request by using the private key of the existing self-signed certificate of vCO/vRO. The self-signed certificate has an alias name dunes. As I operate my own CA I will than issue a certificate from this certificate request. # keytool -certreq -alias dunes -keypass "dunesdunes" -keystore "/etc/vco/app-server/security/jssecacerts" -file "tmp/myCertRequest.csr" -storepass "dunesdunes"
Now as I’m administrator of my own Certificate Authority I’ve created a certificate template called VMwareCertificate which I will use to issue the certificate for my vCO. You can provide this to your 3-rd party certificate vendor and request a certificate from them. 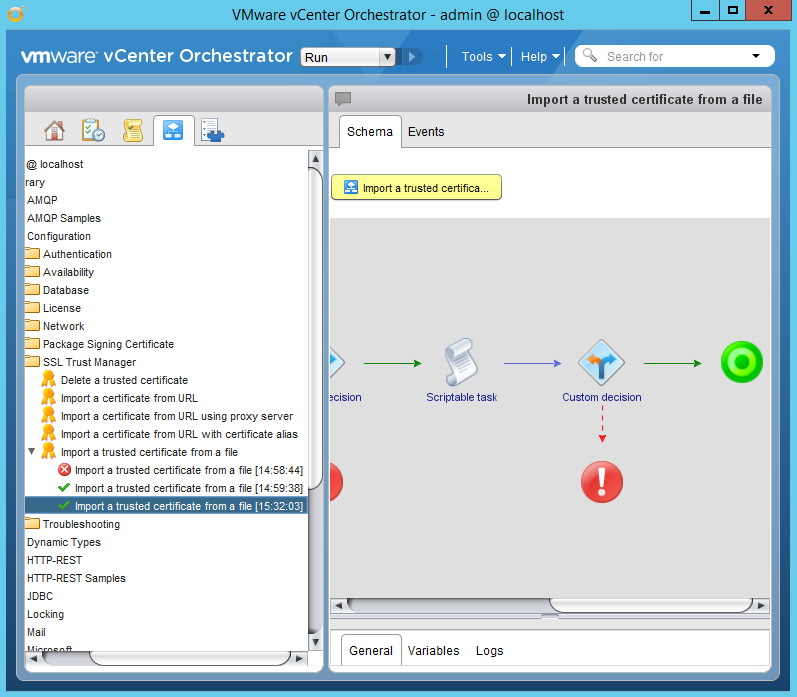 Now we can import the generated certificate into vCO. 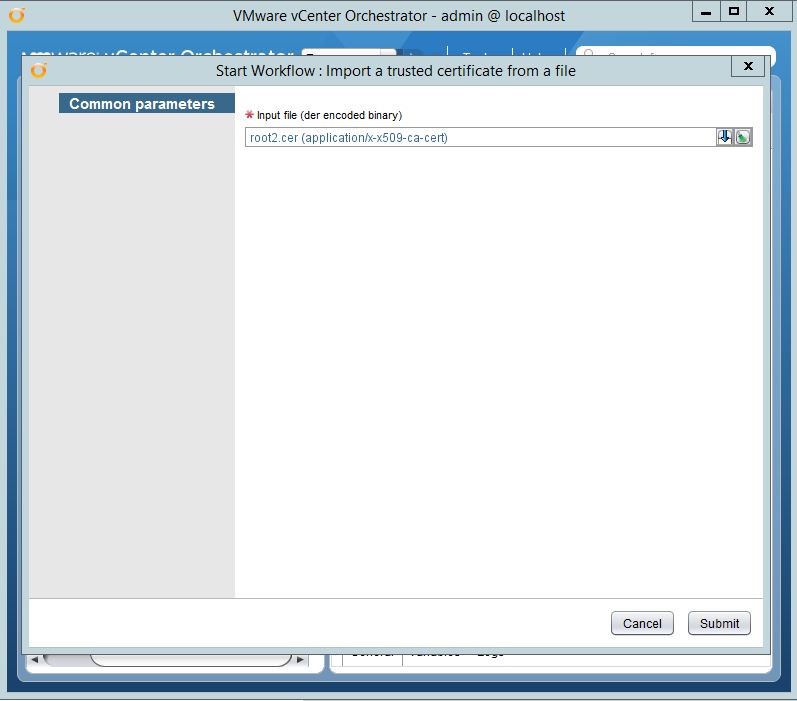 Copy the generated certificate to the vCO appliance. # keytool -importcert -alias dunes -keypass "dunesdunes" -file "/tmp/MyCert.crt" -keystore "/etc/vco/app-server/security/jssecacerts" -storepass "dunesdunes"
When asked for password enter: dunesdunes. You cna veirfy the certificate is present by comparing it’s thumprint. Restart vCO and open the https:\\<vco_FQDN_name>:8283 page. You should find that the certificate is trusted and valid. You might need to close and open the browser in order for the change to take effect. Entry for alias le-vmwarecertificate-d8129c1b-0523-44fb-9d3a-0cc726bc6ada successfully imported. 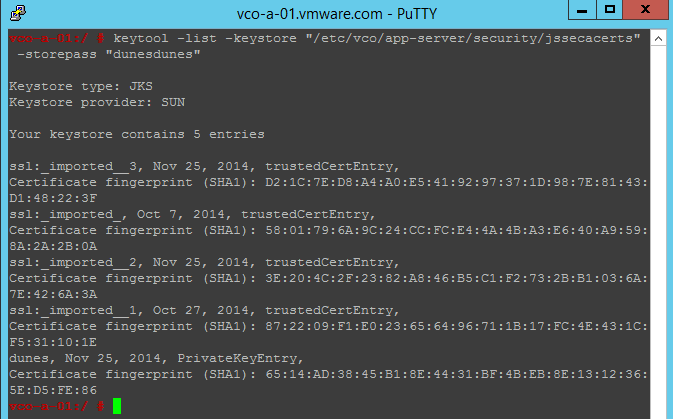 Change the owner of the keystore to vco. This is the defualt owner of the keystore , but if you were logged on as root during the previous operations this is no longer the case. Cause for this might be either mismatched password or corrupted keystore.Make sure to verify your password again before recreating the keystore. . 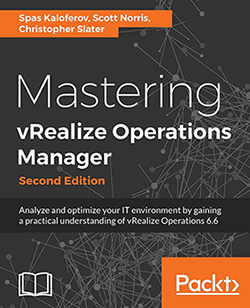 This entry was posted in PKI & Certificates, SSL, VMware, vRO and tagged change certificate for vco, replace certificate fro vco, replace vco ssl certificate, SKKB1008, vco certificate, vco over ssl, vco ssl, vro certificate change, vro ssl. Bookmark the permalink.